This book is a guide to the non-mechanical aspects of 1960s standard-production Chevrolet Corvair passenger cars, and its purpose is to help Corvair enthusiasts who want to restore one of these cars. 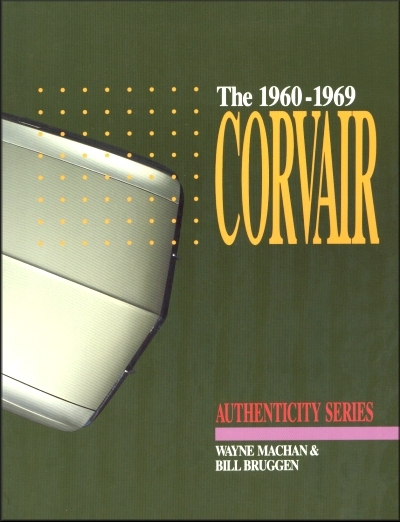 Authors Wayne Machan and Bill Bruggen, managed to put together a complete and accurate description of Corvair automobile models. The lasting quality of the Corvair attests to its greatness, and based on numbers available back in the mid 1980s, about 18% of all Corvairs ever built were still registered. This means that approximately 300,000 units were still operating. That is an amazing number for any vehicle that's still on the road after more than four decades. Ask a question about 1960-1969 Corvair Authenticity Guide.